One would say that I am a late driver in life. I got my license when I was 19, but since I lived in NYC for school, I never had the opportunity to really drive. My parents were very nervous about me driving and never let me drive alone. I always had to have a parent in the car with me at all times, and trust me no teenager wants that. My husband basically taught me how to drive since I was so rusty! I never had a car until I was married, is that hard to believe? My husband and I bought a 2011 Hyundai Sonata in 2014 from a certified pre-owned dealership near us. We still have the car and it's been wonderful for the last 3 1/2 years. Jay's first car was a Hyundai and he had fond memories of it and really recommended it for a reliable car that was solidly made. We decided together that a Hyundai Sonata made sense for us and would be a great car. 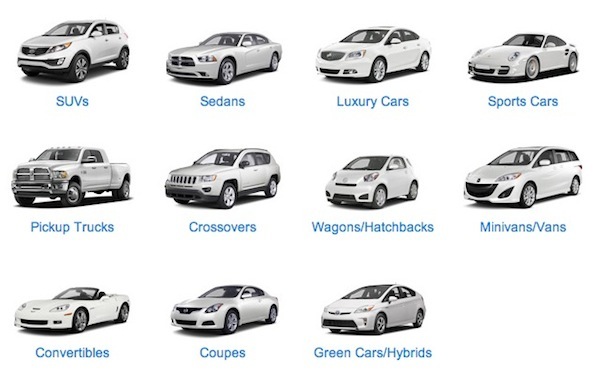 Once it came time for us to buy our car, we did our research on cars.com so we knew exactly what we were getting into. The website is a fabulous outlet for researching and comparing cars, calculating loan payments, finding local car dealers/sellers and much more. Since buying a car is a major life purchase, it's always a good idea to ask as many questions as possible ahead of time. Once you step foot into the dealership, you need to be prepared to make sure you get the best price and best car for your money. I spoke to my parents before going to the dealership to make sure I fully understood everything that would be said, what we'd be signing, and to make sure we were getting a good deal. Since we were first time car buyers, it's good to be as comfortable with the process as possible. Before you buy the car, make sure you take it for a test drive to make sure it's easy and comfortable to drive. Sometimes a new car may seem more exciting than a used one, but think about it from a practical standpoint. A certified pre-owned car will save you a lot of money and you may find one you like even better! Be aware of your budget and what you can afford. The list price of the car does not include monthly car payments, gas, and insurance. It's important to be aware of what you can afford per month and to not spend more than you're able to. If you have children, make sure the car is big enough to comfortably fit car seats in the back. Buying a car is fun and exciting, but make sure you do your research ahead of time. Don't be afraid to ask questions before you buy your vehicle. Remember, this isn't an everyday purchase.